The Springs in South East England a perfect base for your holiday in Isle of Wight. Find out more about The Springs below. This accommodation is a splendid alternative to the usual Isle of Wight holiday cottages, and is set within the owner's large lawned gardens in a peaceful rural location. The property has been furnished and fitted to an incredibly high standard with a spectacular vaulted pine interior, which provides open plan studio holiday living. You’ll be living a life of luxury with the surround sound entertainment equipment, unlimited use of the outdoor heated swimming pool (in season), and a super-king-size bed. You can even order gourmet meals made with delicious local produce from the owner. There is abundant wildlife to spot in the pretty gardens, including rare red squirrels, hares, badgers and woodpeckers. There are beautiful walks to take from the doorstep of the property, and the bustling seaside town of Ryde with its gorgeous sandy beaches, shops and restaurants is close by. If you’re into messing about on the waves, head for Bembridge Harbour which offers brilliant boating facilities. Any time of year, this location is a holiday haven you’ll never forget. Gas central heating. Double electric oven, halogen hob, microwave, fridge, dishwasher, use of owner’s washing machine by arrangement, plasma screen TV, DVD, surround sound music system with iPod dock, WiFi. Fuel & power inc. in rent. Bed linen & towels inc. in rent. Off road parking for one car. Private sitting-out area with garden furniture. Shared seasonal use of owner's outdoor heated swimming pool. Sorry, no pets & no smoking. Shop & pub 2 miles. We have the following details listed regarding The Springs accommodation accessibility but we would recommend that you always confirm these prior to booking with the owner or operator. The Springs is a great base to explore the wonders of Isle of Wight and you will find plenty of activities near by. The Springs is at Ryde, Isle of Wight PO33 4AU. Check out the map below for directions, use the controls to zoom in. If you have stayed at The Springs why not add your thoughts, comments, pictures to our Facebook page? Don't forget to add the name/town/page link to your comment so its attributed to the correct place. Please keep it polite, we are sensitive souls! Find Cottage Holidays works closely with independent cottage owners and leading holiday travel operators to provide you the widest choice of self catering accommodation across England. 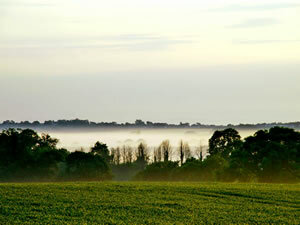 The Springs in Isle of Wight is available through: Sykes Cottages.